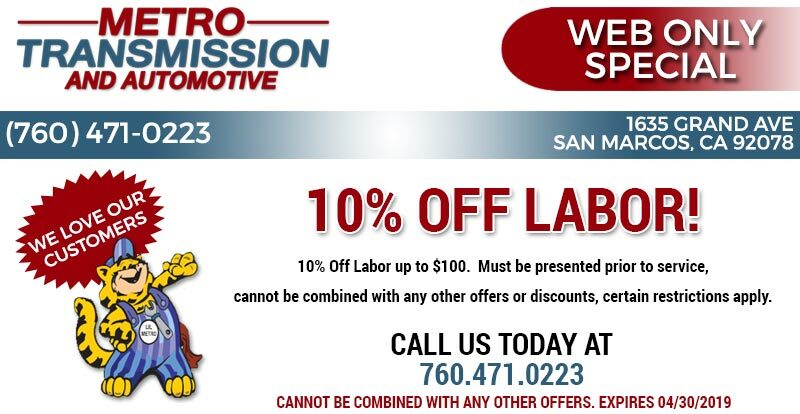 Auto Repair Coupons | Metro Transmission Inc.
Use these coupon in appreciation for using Metro Transmission. 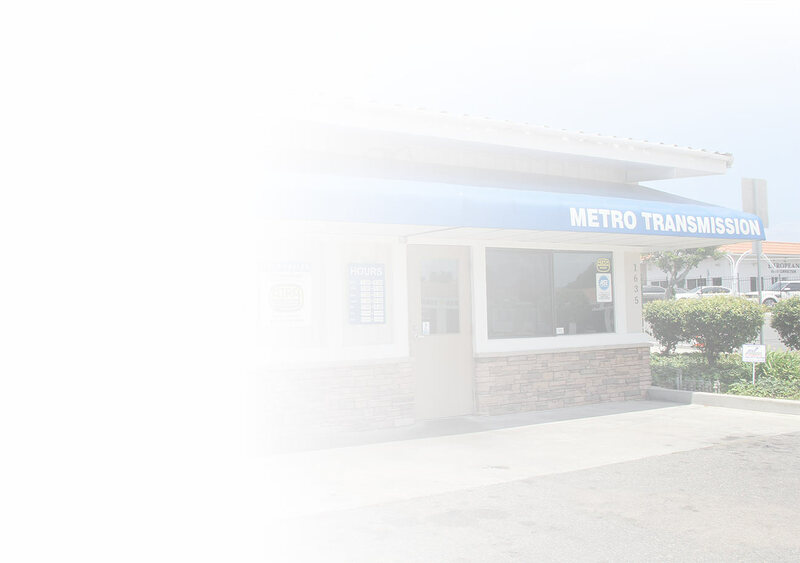 $50.00 off a complete clutch replacement from Metro Transmission. Coupon must be presented prior to vehicle repair. Cannot be combined with any other offers. Check engine light on? Receive a diagnostic scan of your vehicle’s computer at no charge. Includes a road test up to 5 miles and we’ll check for technical service bulletins. Offer good on 1996 and newer vehicles. Coupon must be presented prior to vehicle repair. Additional diagnosis may be required at an additional cost. A $99 value. Cannot be combined with any other offers. Receive 10% off your next brake, coolant or power steering flush. Coupon must be presented prior to vehicle repair. Cannot be combined with any other offers. Receive $100 off the purchase and installation of any rebuilt transmission. Coupon must be presented prior to vehicle repair. Cannot be combined with any other offers. Call 760-471-0223 for details. Labor starting at as low as $10.00 per hour, plus parts. Coupon must be presented prior to vehicle repair. Cannot be combined with any other offers.